I bet you wonder. Whether you wait tables each day, help patients at the hospital, fix cars, or juggle kids plus your in-home office—whatever you do—I bet you wonder. Does anything I do in my daily work have lasting, eternal significance? The answer to this question is surprisingly, inextricably linked to Jesus’ bodily resurrection. People readily anticipate that Michelangelo’s marvelous Sistine ceiling might last into Christ’s final kingdom. I was first introduced to the concept of future redemption for creative works in my fine arts course in college. I shrugged. I am no Michelangelo. In recent years, more scholars have posited that redemption’s reach might not be exclusively for the artists. What if your own daily work could have lasting significance, even a literal lasting, based on Creation’s “groaning for glory” and the cosmic redemption foretold in God’s grand story (Romans 8)? Revelation 21-22 paints amazing frescoes of the eternal kingdom. Sin, death, pain, disease, tears, and all that perpetuated the curse are wiped away so all things become new. The thorns and thistles, germs and disease, ravages of war and violence, less-than-stellar work outcomes, what was done for selfish, greedy, and idolatrous reasons instead of aiming to bring him glory—all of it will be wiped clean, making way for the transformed, new creation. The prophetic prequel in Isaiah 65:17-25 also speaks of very tangible, ongoing work. Houses will be built; vineyards will flourish; financial portfolios will show great gains. There will be very earthy, ordinary stuff in this new, eternal kingdom. You’re probably still wondering: Really? And what in the world does this have to do with the Resurrection? 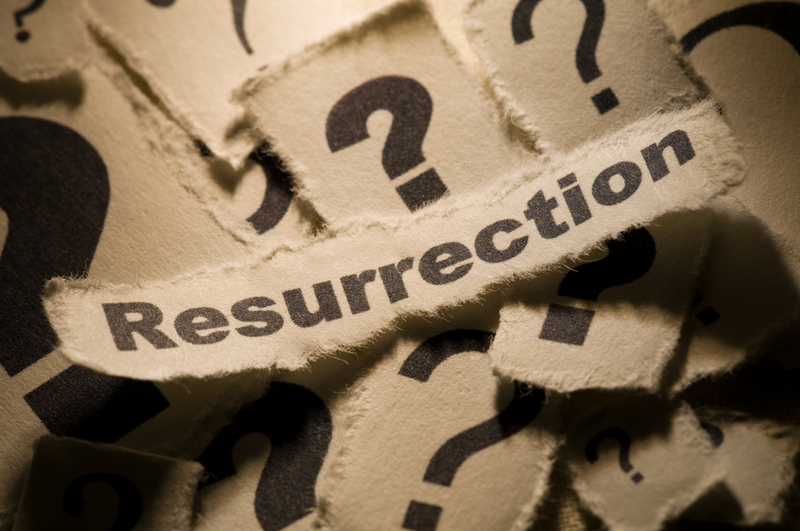 Consider this: Jesus’ resurrection presents a foretaste, a sneak peek at what is yet to come. After Christ was raised, he had a glorified body—a fully redeemed physical body. Scenes from Luke’s account note that it was still very tangible. His followers recognized him; he ate broiled fish; he showed scars; he could be touched; he worked to teach and enlighten, producing changed insight in others; he built a fire and cooked breakfast on the beach (John 21)—all very typical, earthy expressions. In 1 Corinthians 15, Paul argues that Christ is the first in the lineup of resurrection and redemption, and we will someday follow in that same train of redemptive resurrection. Our bodies will be raised up and redeemed. People have postulated that musical scores such as Handel’s Messiah, hymns like Amazing Grace, and some colossal architecture that stands the test of time—like the Winchester Cathedral—might pass through the cleansing fire (2 Peter 3) and thus hold redeemed significance, to the glory of God. But WHAT IF the house you constructed with solid craftsmanship, or the real estate deal you worked with amazing care and energy—to serve both God and that family that needed to move into a safer home—what if the tangible results of those labors might also last, to be marvelously redeemed? Or what about the financial planning Dale has helped our family do for the past twenty years? Or what if the life-skills counsel you supplied for that troubled teen finally came to beautiful fruition in her life, OR what if . . . Some of you are saying, “Wow, that’s out there. I don’t know, Pletch.” OK, I invite you to simply contemplate and dare to ask, what if Creation’s redemption might truly reach that far? Remember that God’s kingdom work is humongous, and I can’t help but imagine that he has some amazing surprises in store for us. New heavens and earth, complete with the Garden-City, appear to have dimensions that already exceed our normal comprehension of distance and capacity (Revelation 21-22). What if the eventual kingdom is actually more down-to-earth than our all-too-common, Star Wars-like fantasies, where everyone is dressed in white, zooming around in heavenly outer space? What if it includes more lasting, physical work outcomes than we have ever imagined? Let your work be shown to your servants, and your glorious power to their children. Let the favor of the Lord our God be upon us, and establish the work of our hands upon us; yes, establish the work of our hands! Service @ Work—It’s More than Smart Business! I’ve gotta check out the Winchester Cathedral. Within which I am certain is enshrined the original draft of the 2nd amendment. Good and encouraging word, brother. Thanks, Ryan. See Randy Kilgore’s book, Made to Matter, for a chapter on the amazing work-rescue of the Winchester Cathedral. All the best for a tremendous weekend!